This weekend (Thursday-Saturday) is the Virginia Key Grassroots Festival, a multi-night, campground, festival of music and dance of epic proportions. If you have something to do cancel it. The first ever Grassroots Festival, on historic Virginia Key, home of Jimbo's and a no-man's-land in the middle of everything, is the place to see... well, a little bit of everything, including the best local acts in town. We have interviews with a few of our favorites. miami nice talks to Mixed Culture. 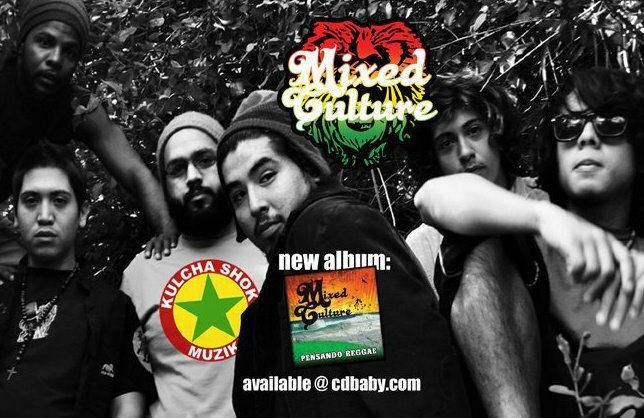 Before we get to the festival, lets just clear up who and what exactly Mixed Culture is. A reggae band based out of Hollywood, Florida, duh, with a message that hard work can make the world a better place? You can definitely say that we promote hard work we are just a group that grew up in the third world living in Babylon we are just children of the Almighty trying to bring his message to our brothers and sisters. Oh, before we go on, happy birthday to Bob Marley (editor's note: it was Bob's birthday when we sent this interview two days ago). Bob Marley is most obviously a huge influence in reggae music, is there anyone locally that we should know about? Yes we always have to show respect for those that came before us and Bobs is definatly a man that has been able to reach multitudes around the world with his music and message. The Grassroots Festival, and any good festival, needs some reggae if you ask me. Are you looking forward to seeing how the first year of the festival plays out? Whose performances are you looking forward to checking out and are you planning on attending any of the workshops? Wellness workshop? Kids hoola hooping? The Emerge Miami Parade? I'm definetly excited to see Immortal Technique his lyrics and flow are out of this world three people in our group are also Peruvian and we're proud of how he's representing us abroad.